How Far is Krisshna Sri Venkatessaa? A home In the heart of the city, in the midst of all the hustle bustle of a happening location, yet an oasis of peace and serenity. A home with excellent connectivity, promising stress- free commutes and easy accessibility to just about everywhere. A home where life is not by passed in a rushed in a routine, but lived joyously, one moment at a time. Your prayers have been answered with Sri Venkatessa Premium 2 & 3 bedroom apartments that come with a host of amenities and premium specifications. Sri Venkatessa is taking shape on Varadharajapuram, Coimbatore – a prime location of the city. Everything is within striking distance here – from education and healthcare facilities to shopping, leisure and entertainment options and of course, the MNCs and IT companies that rub shoulders with each other in its proximity. Despite its busy location sri Venkatessaa enjoys serene environs. 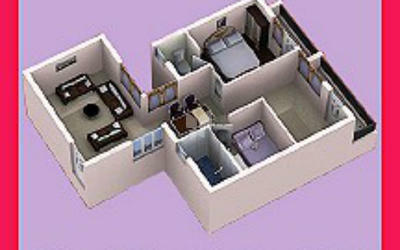 Sri Venkatessaa will house 40 happy families who will have the best of everything. The vaastu-compliant project is a harmonious blend of residential necessities. 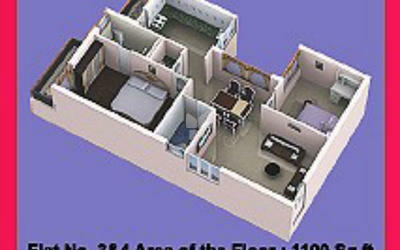 Much Privileged is this project by its very location that it is in the heart of Coimbatore city limit. 500 Metres from kamarajar Road with its known and recognizable landmark ESI Medical college Hospital, this project is prided to be very near to the airport, Singanallur bus Stand and amidst leading colleges such as PSG,GRG,CIT,CMCH,KSG, jayendra and prominent schools such as Perks, GRG, SSVM, SUGUNA, National Model, Venkatalakshmi, hospitals such as ESI Hospital, PSG Hospital, KMCH, Kurinchi, N.G. Hospital, Child Trust Hospital. 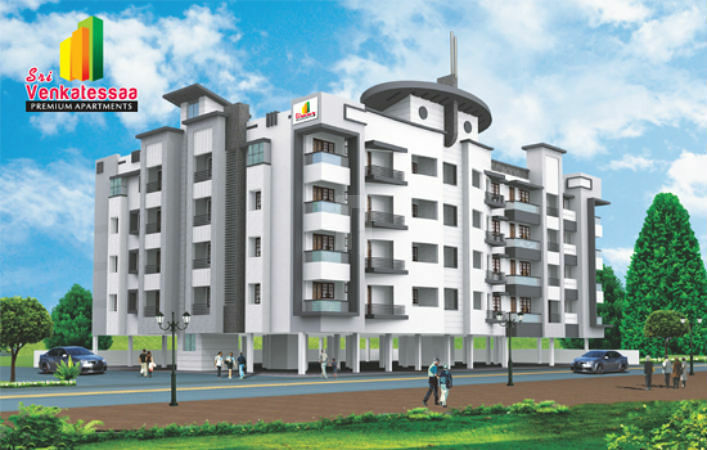 This project consists of 40 flats in a combination of 2 and 3 –bedroom flats. Earth quake resistance RCC Framed Structure. Outer walls finished with Branded weather sealed emulsion painting. lnner walls finished with Branded Roller Emulsion paint over wall Putty Finishing. Branded wires using for concealed three phase wiring for entire Flat. (Kundan or equivalent) and Modular switches (Anchor Roma or Havell's). Branded closets and wash basins. (parry ware or Hind ware). Main door and frame finifhed with imported NO.1 Quality Teak wood. Window frames and shutters are finished with UPVC window. C.P. fittings. (johnson's or equivalent). Staircase, Passage area are finished with Marbles flooring. Corridor, parking area are finished with pavers flooring. Delight is the light of joy that we brighten up in everyone’s heart who buys our home. We are rolling out projects after project to this very purpose of enlightening the earthly siblings who seek better homes. Warmth and harmony greet everyone who visits our havens of homes in different localities. Peace is a natural gift that begets as a result. We, Krisshna Constructions, promoters of apartments, independent villas and plots, is set out on grand plans to build several housing projects in and around Coimbatore to the growing needs of urban populace. Careful and full care are not the same. 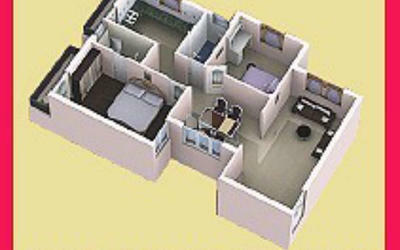 So, we give full and complete attention to the nuances of developing residential projects. Be it the affable locale, radiant looks, affordable pricing and feasible distance, we give full care that everything is suitable and fruitful to you – the home buyers. Rare means uncommon. We build homes that become rare and distinctive possessions for you – the UNCOMMON RESIDENTS. Enhanced living areas with spacious rooms and gracious storages fill you with abundance. Impeccable & tactical positioning of the gleaming sanitary fittings and bathwares add to the convenience. Soothing interiors and paintings comfort you and pacify your mind. Over and above, safety and security arrangements would be a creamy topping to the existing boons.